For many people, they consider their car audio system as an investment. For this reason, they spend a lot just for the purpose of being able to enjoy exemplary auditory experience inside the car. If you are one of the many who has shelled out huge amounts for car audio, it is just natural to think about how to have it protected from theft. Since the 1990s, car stereo theft has been common. While it has dwindled in recent years, it is still apparent. 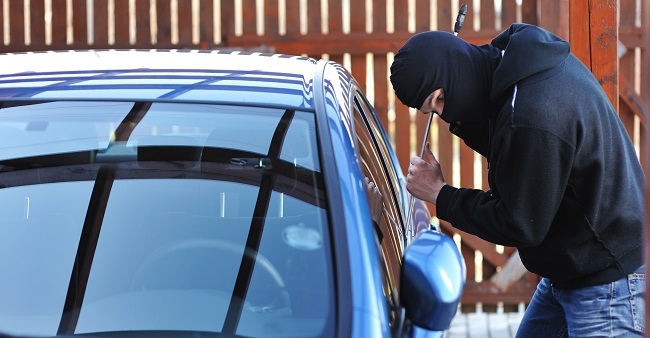 With the rising costs of car audio, it becomes a more attractive prospect for thieves. From the speakers to the receivers, they can be prone to theft. To prevent the latter, keep in mind the things that will be mentioned below. This is perhaps one of the simplest but most effective solutions in the protection of your car audio system from theft. Do not leave your cars parked just anywhere. As much as possible, scout the area first and be discerning enough to decide if it is safe. Avoid leaving your car in an unfamiliar territory, especially if the area is known for having high crime rate. Always park in a space that is supervised by an attendant. It will also help if you will park your car in open and well-lit spaces. If it can be seen by more people, there is a lower chance of theft. This is another simple solution but many people tend to be forgetful about it. With your busy schedule and with so many people being in a rush most of the time, it is inevitable to forget about locking your doors. Even if you have used the remote to lock the doors, make sure to manually check if they have been locked. Double or even triple check the lock. This is especially true if you are parking in a space you are unfamiliar with. When your window is not tinted, people who are passing by will easily see what is inside the car. When they see your audio system and when they see that it looks expensive, they will be tempted to have it stolen. To prevent this from happening, it would be best to be proactive. By adding tint to your window, in case it is not tinted, there is a lower likelihood that people from the outside will be able to see what kind of stereo system is inside the car. This is going to lessen the temptation on the part of the thieves as they have no idea what they can possibly take away from your car. In order to prevent the theft of car audio systems, it is also important to make sure that the alarm is working properly. There are many instances when alarms can be problematic, and hence, they may be unable to send an audible signal in dire situations. Make sure to keep your alarm up to date. It won’t hurt if you can invest in a high-end alarm, especially as it means that you will be able to provide the highest level of protection for your car. Car owners and different companies have been proactive as well in their approach to prevent car theft. Many resort into trying to fake it, which means that they make the car audio appear cheap, and hence, no one will be interested in having it stolen. There are face plates or car stereo covers that you can buy at affordable prices. There are also speaker grills that won’t hurt your wallet. They can be an excellent form of disguise and can make the audio system look inferior. However, keep in mind that this solution may not always work as many burglars are intelligent enough to know if you are actually just faking it. Thieves only target car audio systems that they think are expensive. These people are experts in car audio, and hence, they know which ones are cheap and which ones command a premium selling value. If possible, keep your original factory stereo system or use one that is cheap and won’t attract thieves. This, however, is actually irrelevant most of the time because a lot of people would want to do away with their OEM audio and replace it with a system that is more state-of-the-art, and hence, expensive. We have gone far from the time where car audio theft is a rampant crime. Times have changed, and hence, it happens in lesser frequency. However, it is undeniable that it is still a problem. The best thing that you can do is to be proactive in your approach. You should follow the tips that have been mentioned above and have peace of mind. What is The Difference Between Powered Subwoofer and Passive Subwoofer? What Size Subwoofer Do I Need for My Car? What size speakers are in my car? Types of Car Speakers: Which is the Best? Best Car Speakers for Sound System Guideline Copyright © 2019.